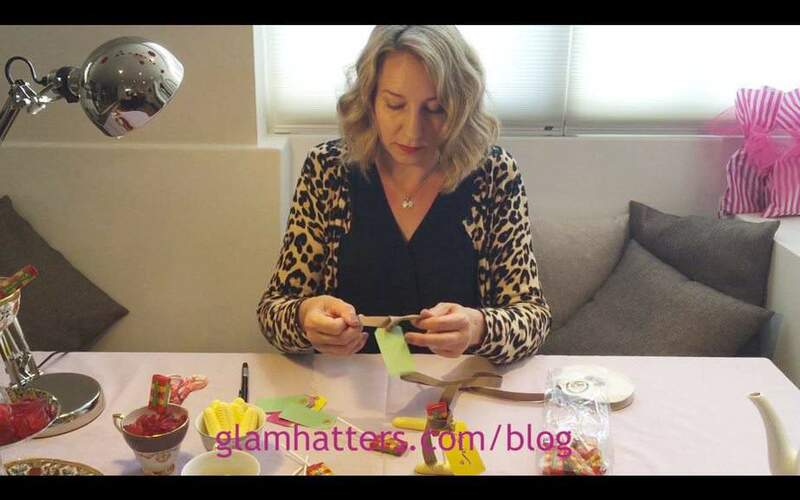 How To Make Hen Party Table Decorations. 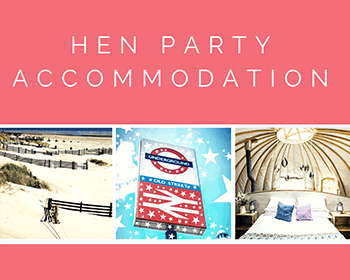 Want to make your hen party just that little bit more fabulous? 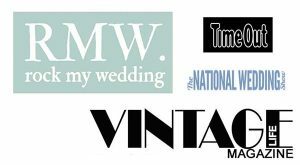 This post is all about hen party table decorations for a very stylish, vintage and super-pretty hen do! 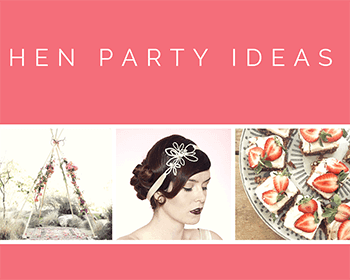 This post is the 1st of a series of 3 on little extras to make your hen party super-stylish. 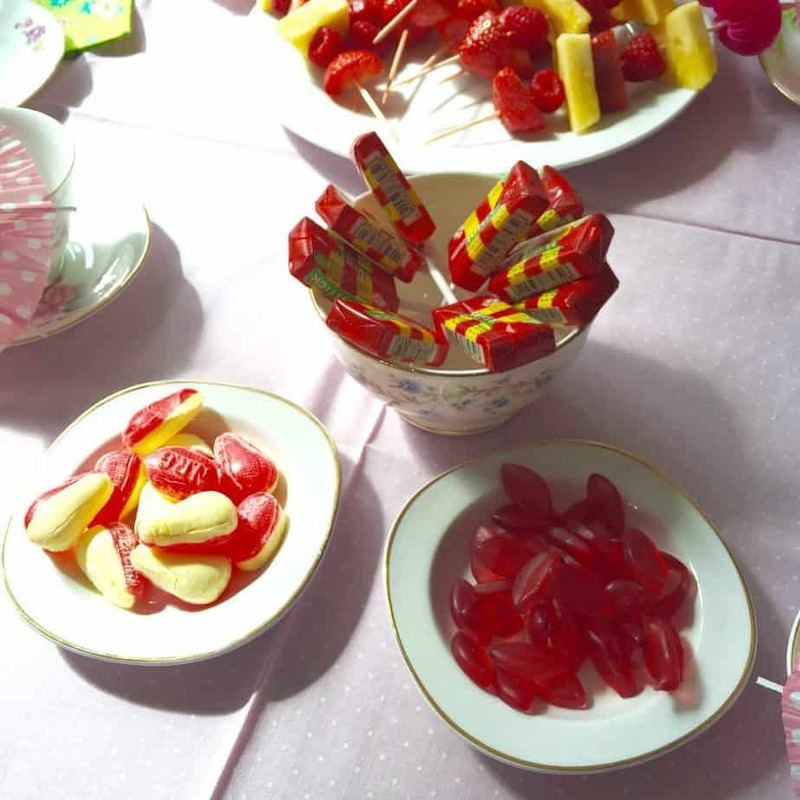 In this post I’ve used gorgeous Lovi retro sweets placed on vintage china for my hen party table decorations and also to make the personalised place cards. These little extras for your hen party table decorations look beautiful and they translate equally well for a special Birthday party or event. Last week was my daughter Tilly’s 3rd Birthday. My 2 daughters both absolutely love a tea party (I wonder why?!) and whenever we have cake we always get out the pretty plates and tea cups. For Tilly’s Birthday we took it up a level. 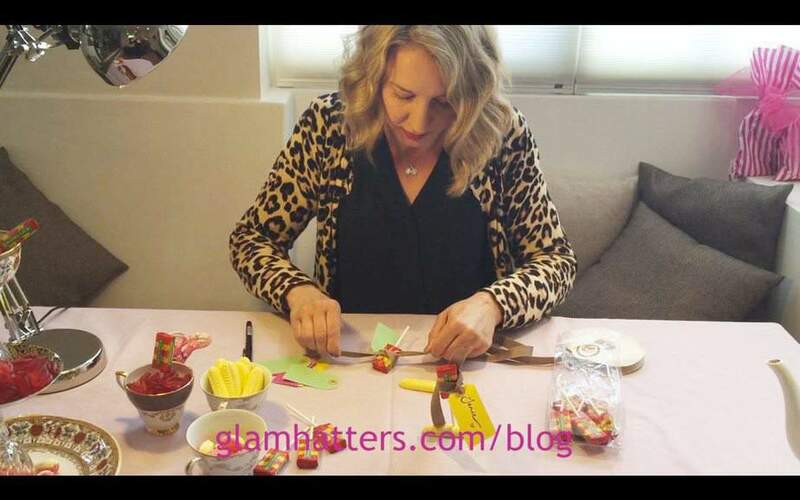 Check out my video below for “How To Make Hen Party Table Decorations Using Lovi Sweets”. Hen Party Table Decoration Step 1. Find some beautiful ribbon and cut it on the slant at about 25 cm long. Write names on tags and tie the ribbon to a tag (these tags are from Tiger). Tie the ribbon around a drumstick lolly (these ones are from Lovi sweets). Make sure the seam of the wrapping is at the back! Adjust the tag so that it stands up like a little flag. Pop your place cards around the table. 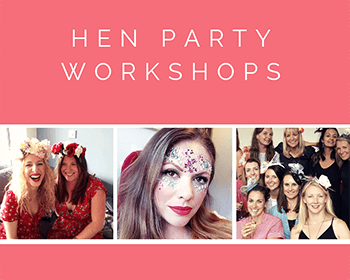 This is the perfect way to get girls chatting at a hen party and will help break up the usual groups and encourage the hens to make new friends! 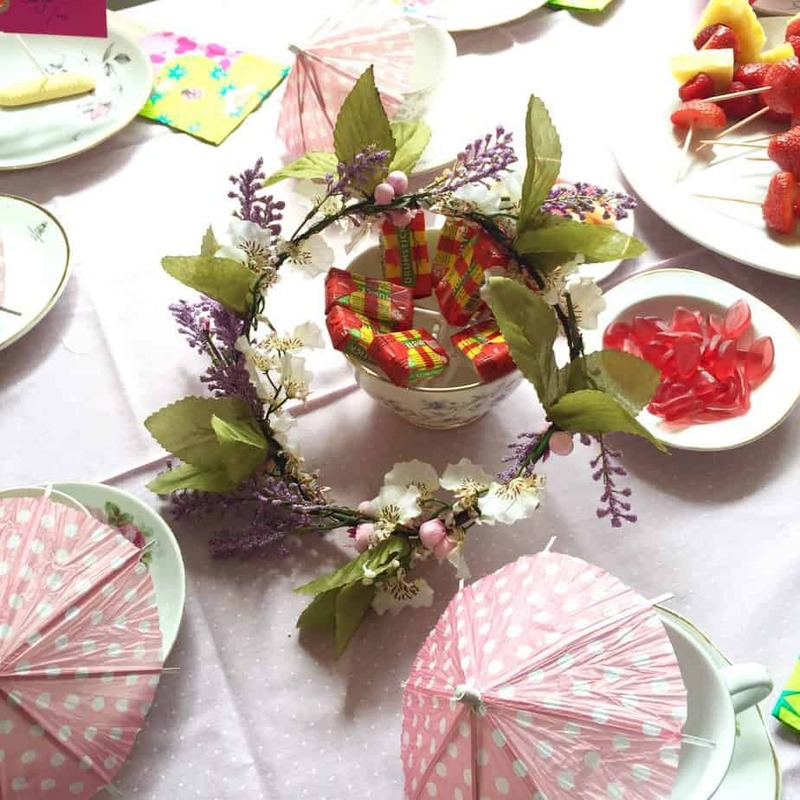 If you’d like to decorate your table at your Glam hatters’ Hen Party we always welcome you to pop in a little earlier than your hen party start time to add those little extras that you know your bride-to-be will love. 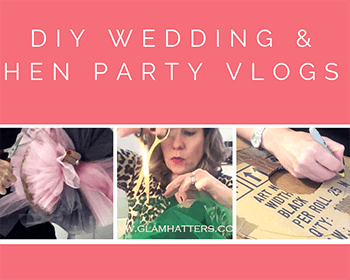 Feel free to call me to arrange it and if you need any ideas or inspiration for your hen party please check out my You Tube channel, Instagram and Facebook page below! 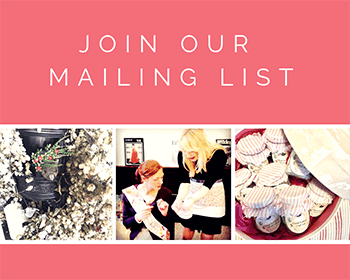 I would recommend taking a look at Lovi sweets, visit their fabulous website here and choose from a wide range of gorgeous looking (and tasting) sweets to make your hen party table decorations look super-pretty and woo your fellow guests. Try these sweets for lovely wedding favours too – just wrap in a square of organza and tie with a pretty ribbon. 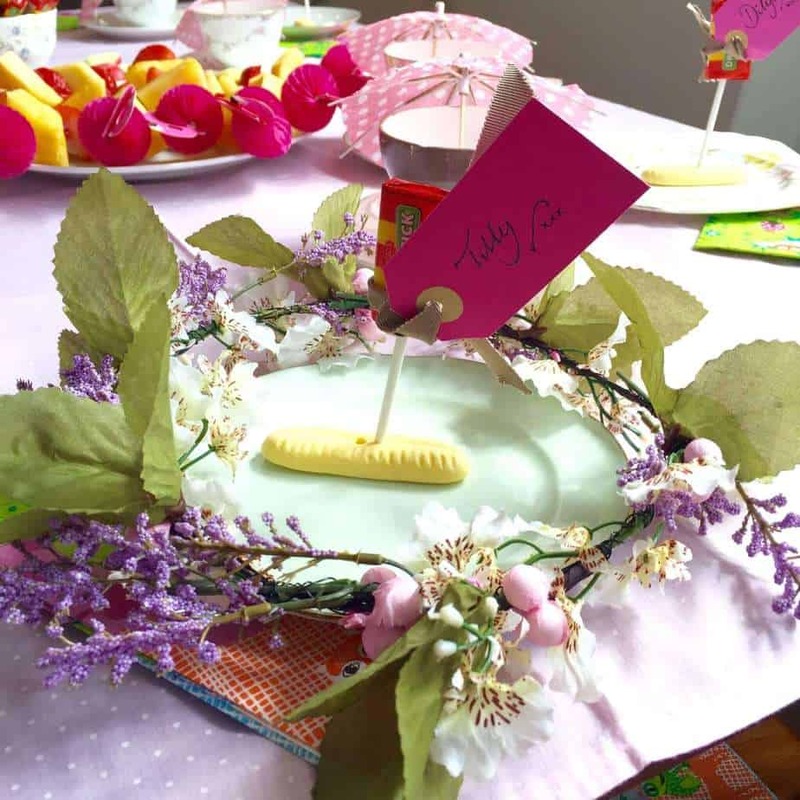 For more on our fabulous hat making hen parties with vintage afternoon tea please click here.